NEBOSH (The National Examination Board in Occupational Safety and Health) is a globally recognized comprehensive range of qualifications that are designed to meet the health, safety and environmental management requirements of all workplaces. With health and safety management increasingly seen as an important skill for employees from all types of organizations to possess, undertaking NEBOSH training and gaining the necessary qualificationscan open up career opportunities in the field of health and safety. One of the key benefits of NEBOSH training is the flexibility of course structure and content, which can be customized to meet the different industries and individual workplace requirements which consequently results in enhanced business productivity and efficiency. Riyadh, one of the fast developing cities in Saudi Arabia has been witnessing a gradual evolution of occupational safety and health management practices in the organizational work culture. Safer workplace initiatives currently being implemented by the government has led to organizations giving top priority to workplace safety. This has resulted in rising demand for personnel with qualifications in health and safety. Therefore, enrolling for NEBOSH training in Riyadh can help enhance competency and ensure a successful career in health and safety. For people working in the safety and health field, holding a NEBOSH qualification in Riyadh can provide great career enhancing possibilities. With many companies looking for qualified personnel for managing workplace safety and health in Riyadh, holding a NEBOSH qualification can boost your chances to land a job that is rewarding. The NEBOSH Health and Safety at Work is a basic safety training course offering a thorough introduction to health and safety principles and practices in the workplace.The course is suitable for all types of organizations in any industry operating anywhere in the world.This training equips the workforce with the knowledge and skills to identify and deal with hazards at work and help reduce work related incidents and accidents. It is ideal for supervisors, team leaders, HR managers, facilities managers and those interested in pursuing a career in health and safety. One of the popular qualifications, the NEBOSH IGC focuses on international health and safety standards and management systems based on best practices and international standards.It is ideal for team leaders,managers, supervisors or those embarking on a career in health and safety. The training equips them with the skills and know-how to meet the health and safety responsibilities of any workplaces in any kind of organization and in any country. 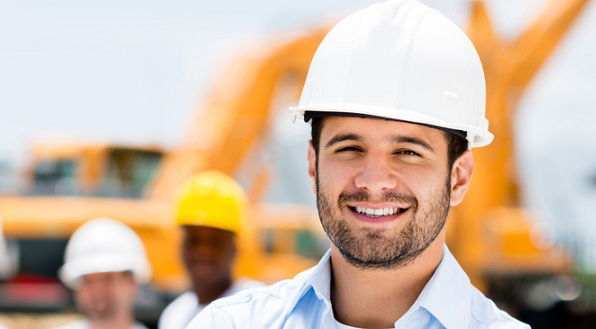 NEBOSH International Diploma is one of the leading NEBOSH qualifications in the field of health and safety globally. The training provides specialist knowledge and understanding required to undertake a career as a safety and health practitioner. Choosing the right NEBOSH accredited training provider in Riyadh is the first step to ensuring the right training for the workforce and for those setting up on a career path to success. It is therefore a necessity to find ones that deliver the necessary skills and knowledge required to manage safety at workplaces effectively. With the right NEBOSH training provider in Riyadh, you can get trained to become a thorough professional in the safety and health management field as well as ensure a safe work culture in your organization. We are a leading Riyadh based Occupational Safety and Health Consultancy and Training service providers in Saudi Arabia and GCC. We offer a suite of accredited, globally recognized NEBOSH and IOSH Health and Safety training courses to equip individuals looking to embark on a career in health and safety and for professionals to develop competency in all areas of workplace health and safety management. We also provide customized on-site industry-specific training delivered by expert training instructors to support the organization’s safety requirements. Promote a safe work culture in your organization and steer it to improved productivity and efficiency with NEBOSH training in Riyadh. Contact us today at SLC to know more about our training courses.